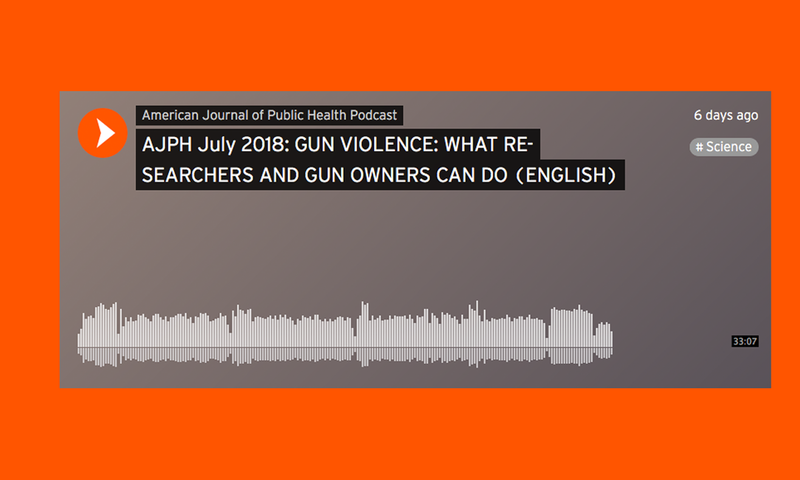 The July 2018 podcast of AJPH asks the following questions: If there are realistic goals that could slash gun violence in the US, what can be done by gun violence researchers and by gun owners to reduce the burden of deaths and disabilities caused by gun violence? How can both sides of the controversy be brought to find a common ground and start a constructive dialogue? My guests are Professors Colleen Barry (Johns Hopkins), Sandro Galea (Boston University), Matthew Miller (Northeastern University), and Jonathan Metzl (Vandebilt University, TN). Listen to What Can Gun Violence Researchers Do? an American Journal of Public Health Podcast.